Sunny. High 59F. Winds NW at 10 to 15 mph.. Partly cloudy skies this evening will become overcast overnight. Low 34F. Winds light and variable. 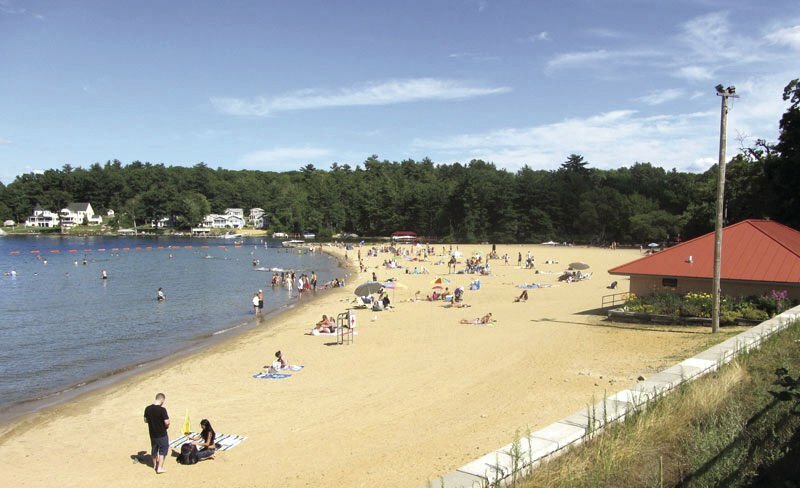 LACONIA — Like sand through an hourglass, Weirs Beach has been eroding for decades. Parks and Recreation Director Kevin Dunleavy wants to reverse that natural process and replenish the beach, but to do so, he first has to navigate the troubled waters of state government. The state Department of Environmental Services has a complicated set of rules governing the expensive process of restoring what wind and water has cast away. “The days of backing up dump trucks to the beach and spreading it out are long gone,” Dunleavy said. He gave a presentation Monday night on the city’s nine years of working with the state on the issue. Council members passed a motion saying they are ready to move toward a solution and instructing City Manager Scott Myers to work with DES leaders for a final resolution. If the city does nothing, eventually the beach will cease to exist, Dunleavy said. “I don’t know how long that would take,” he said. “My opinion from what I’ve seen through the years is that there will be a noticeable difference in two to three years. In 15 years, erosion would be clearly evident and the beach will be degraded. Dunleavy said the state’s first priority concerning the beach was to make sure whatever the city does is based on sound engineering practices that will limit further erosion. The city retained the Woods Hole Group, a Massachusetts firm with experience in working to mitigate beach erosion. A $70,000 study contained recommendations for how much sand should be returned, where it should be placed and measures needed to limit further erosion. The city has set aside $300,000, which could cover further engineering studies and a portion of the ultimate construction costs. The studies recommended an extension of the jetty that separates the beach from the adjacent boat channel. Sand is getting around the existing jetty and making its way into the channel, where it could ultimately interfere with navigation. Any permanent solution would require that sand be moved from near the jetty to back up the beach every couple years. The beach was put in place in the 1950s. Before that, the lake lapped at the land and there was no big sandy area. Returning sand to the beach will slightly reduce the size of the lake. The DES mandates that such a reduction be compensated. Potential options for the city could be preservation of land in the area through the creation of a wetland. Dunleavy said as much as 9,000 cubic yards of sand will be needed to replenish the sand, increasing the width of the beach by 60 to 75 feet.